This is my first and only experience playing flatwounds, so comparisons are nil. But the feel is great and tone is warm. I personally might next try something between a round and a flat, because I think while I love the feel playing these, the tone of rounds works a bit better for the rock music I play. Still, no complaints on these at all. The sound is a joy to hear and it's made my playing much more comfortable. This is my first experience with flatwounds on my Gretsch Double Anniversary. I love the tone for jazz and lack of string noise when I slide my fingers along the string. Fantastic sound: warm, full and very comfortable to play. Great experience buying through strings by mail as well, fast delivery and nice customer service. 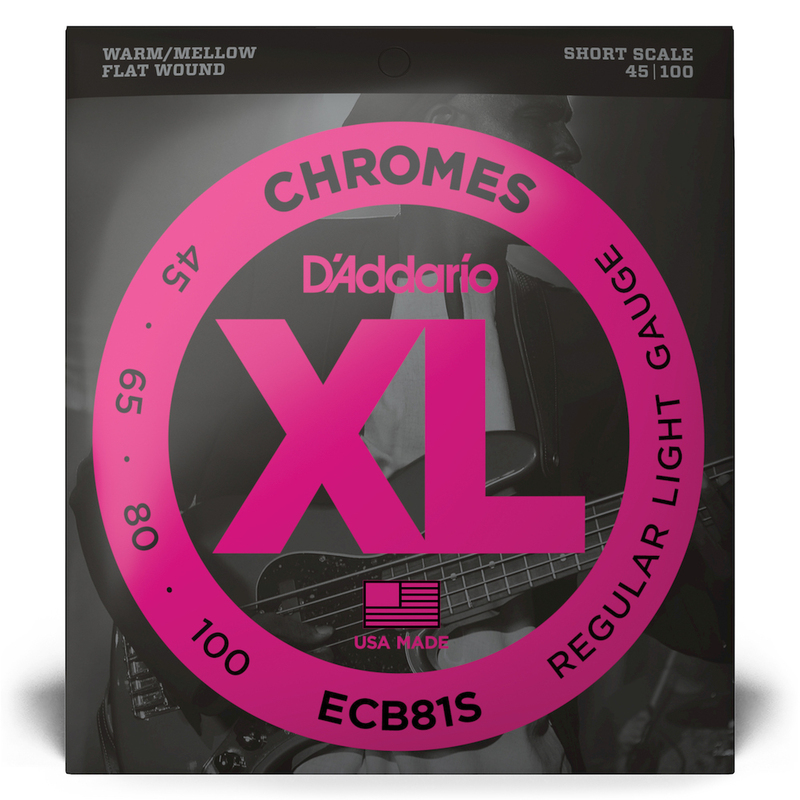 D'addario strings are always top of the line in quality and sound. Chromed add that sweet slight crispness to the flatwounds. You get the flat wound thump and Shah but it's just a little bit tighter, excellent. Strings by Mail had the best price and delivery was quick. Another satisfied customer for sure!